Bianca from Thanks I made them. Sew can you! Congratulations! 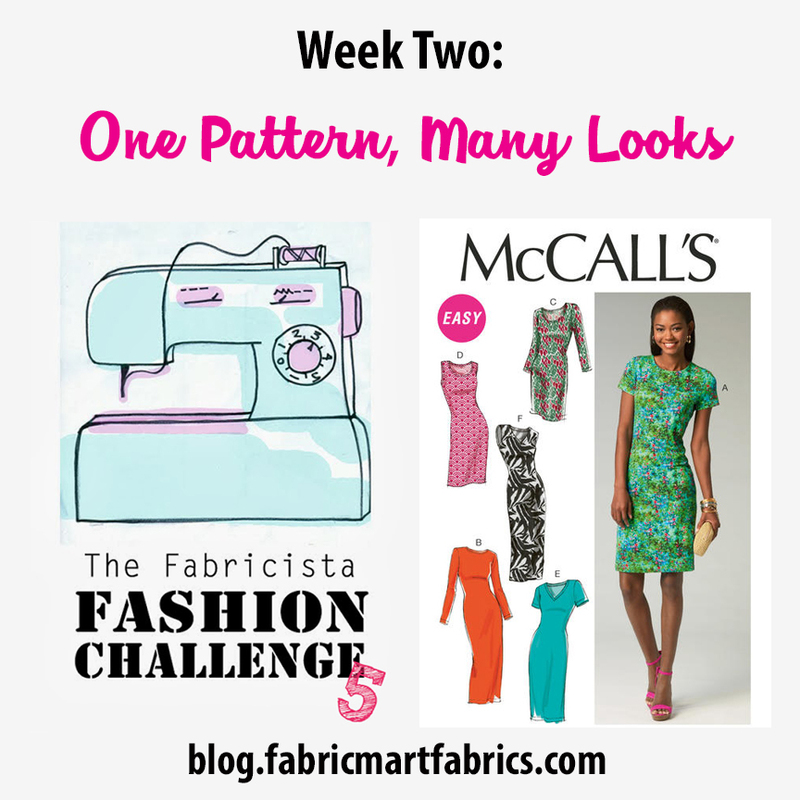 You have made it on to the next round and win 5 free patterns of your choice from McCall Pattern Company. Unfortunately, someone has to "pack their bags". Victoria from Very Blissful did not make it to the next round. This challenge is always a fun one. We’ve done it a few times over the course of the challenge. Using McCall’s 6886, a basic fitted t-shirt dress, create a garment that will transition you into fall. Tell us how it will transition you into fall (especially since fall can be very different in areas of the US.) Be creative, think outside of the box! Don’t just make the garment as-is. Pattern hacking is encouraged! McCall’s 6886 was named a “Best Of” pattern on Pattern Review two years in a row. (2015 and 2016.) Will it be a “Best Of” again this year? We’ll have to wait and see! You might get some inspiration from one of the over 150 reviews you can find on Pattern Review. Creativity – Did you think outside the box of this basic pattern? Did you share with us how it transitions into fall for you and your lifestyle? Fit – Does the garment proportionately fit you? Not too short, not too long, not too tight? If there's something about the fit that you think we would challenge, please tell us why you chose to do what you did. This week's guest judges are Pati Palmer, co-founder of Palmer/Pletsch and Deepika Prakash, founder of PatternReview.com! Pati Palmer has been teaching sewing for over 37 years. She has traveled throughout North America and Australia teaching sewing seminars and eventually established the Palmer/Pletsch International School of Sewing in Portland, OR where she trains consumers and sewing educators. 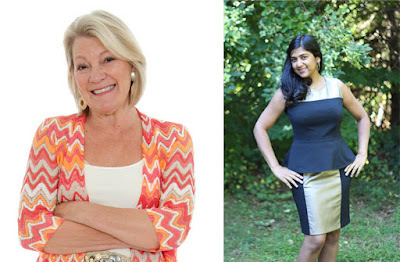 Pati is the author of 10 sewing books and editor/publisher of 20 more books and 18 how-to videos. 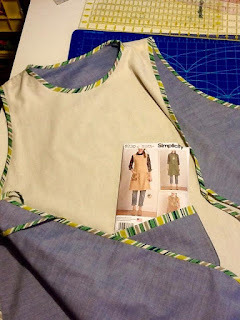 Deepika Prakash started PatternReview.com in 2001 as a place for sewers to meet and discuss their sewing projects. Over the last 15+ years, the site has evolved into a global community with 350,000+ members in over 20 countries. Deepika taught herself to sew because she wanted to make curtains for her new home. 15 years and almost 300 garments later, she is still buying curtains! All photos, text, etc. are due on Tuesday, September 12th. The finished projects will be revealed for reader voting Sept 13-14 and the winner will be announced on Friday, September 15th. Winner of this challenge will receive a two packs of Palmer/Pletsch Perfect Fuse Interfacing (1 yard pack of Sheer and 1 yard pack of Light.) And a $25 gift certificate to PatternReview.com to use toward patterns or classes. Since you may not have this pattern in your stash or access to it during the challenge timeframe, choose your favorite t-shirt pattern and pattern hack it. Any t-shirt pattern will do. If you have McCall’s 6886 in your stash, then use it for the challenge. 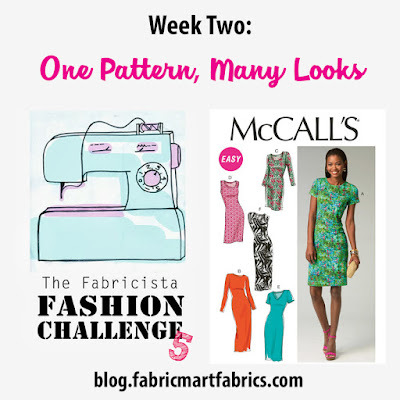 Post a photo of your finished project on Facebook or Instagram using #Fabricista5 by Sept 14 and one winner will be picked at random to receive a $25 gift certificate to PatternReview.com to use toward patterns or classes. Thank you to Palmer/Pletsch and PatternReview.com for donating prizes for this week's challenge. Thank you to Pati Palmer and Deepika Prakash for taking the time to judge this week's challenge. Congrats Bianca! Sorry to see Victoria go, but at least I have a new blog to follow, right? I am EXCITED about this week! I have made M6886 over half a dozen times and I know the ladies will BRING IT with creative ideas. Congratulations Bianca! 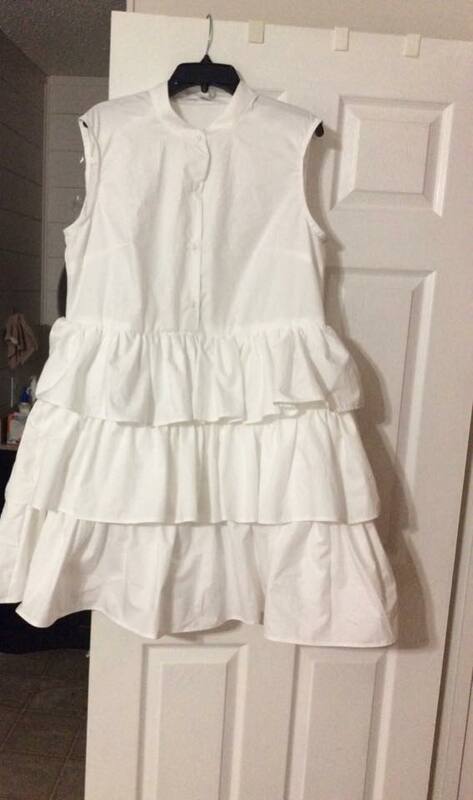 Your dress is truly amazing and that flour technique! WOW!!! I always learn something from you! I love Bianca's dyeing technique!! It turned out so nicely!!!!! Congrats! I just uploaded my photo to Instagram, hopefully in time! Fun challenge this week.